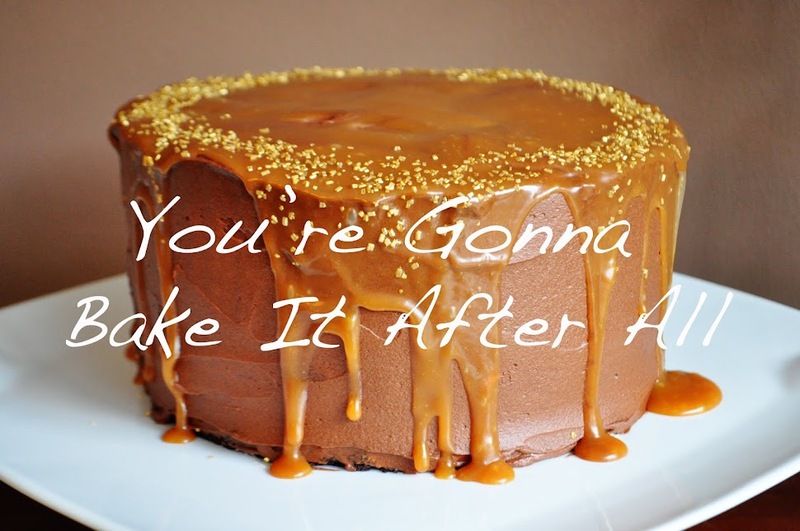 You're Gonna Bake It After All: My First Giveaway! Happy St. Patrick's Day! Like I said Monday, I don't have any St. Pat's Day recipes for you this year, but I do have a fun giveaway instead! This is the first one on You're Gonna Bake It After All! I was contacted by a representative from CSNstores.com about a giveaway for my readers. CSN carries just about everything, from unique furniture like counter stools and bar sets (my husband will go crazy for that one!) to my personal favorites, cookware and bakeware. or a wine rack to easily store your favorite beverages? 1. Leave a comment telling me which of these prizes you'd like to receive should you win. 2. Blog about this giveaway and leave a separate comment with a link to the post to make sure I know about it. Congrats on an awesome first giveaway. If I were lucky enough to win, I would definitely choose the pizelle maker. Wow! Your first giveaway! Way to go girl! I will be sure to mention it in my blog. I really stink at the linky thing though. I would have to pick the cutting board. I'd love that beautiful cutting board. Thanks for the chance to win! I already own a bamboo cutting board and I love it! I would definitely pick that prize! I'd choose the cutting board. Thanks for the giveaway! I enjoyed my visit to your blog. Putting a link on my blog. If I were to win I would like the bamboo cutting board. That bamboo cutting board is soooo beautiful!! Congratulations on your first give away! I just started blogging at the beginning of February so I am very far off from giving stuff away, especially considering I don’t have any followers, haha. Even though I have been blogging since only February, I have been following your blog for a couple of months. Your photos are absolutely amazing, and are one of the reasons that I actually started to blog, after looking at your blog I got incredibly inspired to do it myself! If I won this contest, I would for sure go for the pizelle maker. I have always wanted one, my mom and I are supposed to get one this summer, but because money is not the greatest right now, that would have to wait for more important things. I have been in-love with pizelle’s since a really young age, one of the first cookies I actually remember eating (being an Italian and all). I also set up a goal for myself, that within the next four years I would bake through Martha Stewart’s cookie book. One of the cookies in there uses a pizelle maker, so again this would also help with a goal of mine. I also wanted to mention that I did give another shout out/answer on my blog!! I just did my first Giveaway last week. I've never been to your blog, so I wouldn't feel comfortable entering the giveaway. But good luck to all those that do! I came here thru 3_Arce Homestead. Congratulations on your first give away! That's so exciting for you. I am very new to blogging and still making my way around. I love to read everyone's stories and see the different types of recipes. If I was chosen in the contest my choice would be the pizelle maker for two reason. First because it brings back very fond memories of my favorite aunt and uncle. My aunt to this day is an amazing cook and when we would visit her when we were little there was always a basket of pizelle's on the counter. We could never get enough. I have her recipe but still had not made it. The second reason, both my children coming from Italian/French background have visited with relatives and it's a family tradition, which I would like to continue in my home. I'd definitely go for the cutting board - it's beautiful! I would love that gorgeous cutting board! I'd love the cutting board! So nice! Thanks! Look at you and your first giveaway. I would most likely choose the bamboo cutting board. I have been eyeing them for weeks now. For some reason they are calling my name. I would choose the pizelle maker, i have always wanted one! great giveaway! You know, I can never have too many cutting boards - I;d love to have that one! Thanks for the fun giveaway! I'd like the cutting board - it looks beautiful! Great giveaway! I'd like the cutting board. It looks like a good one and you can never have too many cutting boards. How exciting - your first giveaway! Even though I've only been blogging since February, I've been following your blog ever since I searched for an asparagus risotto recipe, and there was your recipe! Very good, btw. If I'm lucky enough to win, I'd love that cutting board - it's gorgeous! Oops, forgot to add that I blogged about the giveaway over on my site, too. Ohhh, good giveaway for your first! Your blog is amazing BTW! Your recipes all look so delicious and your pictures are fabulous! I would like to win the bamboo cutting board. I don't have a fancy (and sturdy) cutting board such as the one you've listed, and I would love it! Thank you! 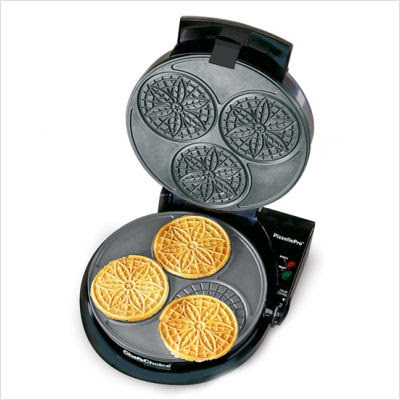 I'd love the pizzelle maker. A friend made these for us over the holidays and my kids couldn't get enough of them! I would love the wine rack! I want the pizelle maker! I have wanted one for years! Thanks for the giveaway! So cool! 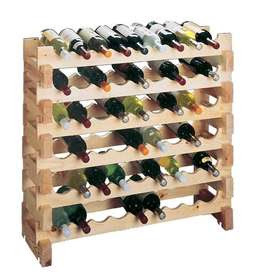 I love all of them, but I have a bamboo cutting board and a pizzele press already--both of which I love--so I'd have to say the wine rack would be lovely for all my cooking wines and such! I would LOVE the cutting board. I've been wanting a bamboo board for ages and just haven't gotten one yet! Awesome on your first giveaway! I love your blog...it's fantastic! I would love that bamboo cutting board! It looks awesome! That lasagna is making me droooooollll! I would love to win the pizelle maker!! That would be so much fun! wow, this is such an awesome giveaway! as much as I would love that cookie maker, I am in desperate need of a cut board. Anddd it is beautiful! What great prizes!! I think I'd have to go with the cutting board if I had to choose! OMYGOODNESS, a Pizelle maker!!! Definitely!! this is like the best prize ever!! fingers crossed!! And yes, I totally just linked back!! I just made pizelles the other day on my Grandma's very old pizelle maker! I would love to have a new one of my own! i would choose the bamboo cutting board!!! Oooh, what a hard choice! The pizelle maker is awesome, but I think I have to go with the gorgeous bamboo cutting board. Thanks for the great giveaway! I would love the Bamboo Cutting Board! Would love the wine rack! Love the choices! I would definitely love the pizelle maker! I've always wanted to be able to make these! Thank you so much for the chance to win!! 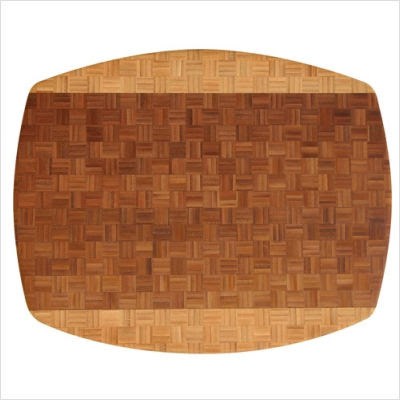 I love the bamboo cutting board and would be thrilled to win! I would love the bamboo cutting board. This is an awesome giveaway. Thanks. I love Pizelles! It would fabulous to have one. Thank you for the giveaway. Try this again...shout out on my current post regarding the giveaway! Thanks! I would love the cutting board! Just found your blog by a comment you left on Brown Eyed Baker. Looking forward to going back and checking out some of your older posts. Hard choice to make but I would say the pizelle maker would be my choice. (jenncutt3360 at yahoo dot com). Thanks, and congrats on your first giveaway!